Selling your business doesn’t start with approaching an agent with a view to finding a buyer, or it shouldn’t. You might be surprised by the lack of preparation many business owners undertake prior to deciding to sell. Being poorly prepared doesn’t mean you get to side-step the necessary work it just shifts when it gets done – invariably it ends up getting done at the same time as a million other things. If you are about to embark on the sale process there is still time to get ready and that time starts now. The best time to plant a tree was ten years ago, the second best time is today! PLAN in advance – it can be daunting when we speak to principals who have booked their round the world cruise before even getting the practice valued. Succession planning is vital and ideally you should be considering your options at least two years in advance. Don’t lose motivation, it is vital to keep the fee income up as any buyer will be looking at your figures all the way through the sale process, and in some cases have demanded a reduction in the sale price to reflect the drop in turnover. Prepare your paperwork early on – employment contracts, service warranties, planning permission etc. If there is something missing you will have plenty of time to fix it. Corporates are active in the market place and whilst it is always worth considering an offer never rely on their valuation – they may just have a vested interest in being conservative with their valuation! Likewise, if you are planing to sell to an associate, don’t underestimate the time and skill it takes and employ a reputable agent to act on your behalf. Are the premises freehold or leasehold? If they are leasehold, make sure there are at least 10 years left to run. If not, then renegotiate the lease and aim for at least 15 years – the sooner you can do this the better as landlords can be very slow to act. If you want to sell the freehold, arrange for a commercial valuation. Choose the right agent – some agents work for both the buyer and seller which we believe can only produce a conflict. Also, check they have access to a good supply of dentists who want to buy. Use the open market; ensure the agent you have chosen will take the practice to the full open market. Always get a valuation – even if you are approached privately – do not accept any offers until you know what your practice is really worth by having an independent valuation. Many principals are amazed how much their practice would attract on the open market. It’s currently a seller’s market. Why? Because we have just over 4,300 dentists looking to buy practices in England or Wales, and with 14 banks lending to dentists we know they are not just looking, but have a genuine interest and sufficient access to funds. Engage a specialist dental lawyer early on – it will make a huge difference to your transaction. Really consider your future options – just some of the things to think about include; Do you want to stay on at the practice? How many days will you want to work? What fee you will want to charge? 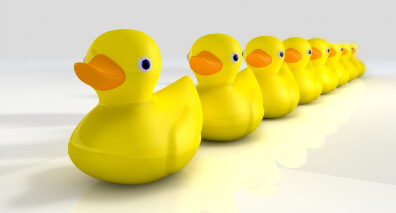 Getting your ducks all lined up will really pay dividends when you decide to push the button and press on with the sale.